Well, we’re almost ready to kick off (sorry, couldn’t resist) with SAAHE 2014 and so I thought I’d take the opportunity to update you on a few last minute items before we start. The abstract book is now available for download. If you have registered for the conference, you should receive this by email. Please note that we will only have a limited number of printed copies of the abstract book at the venue, so if you do not receive the book by email in the next few hours, you should either download it here or view it through the conference app. If you have not yet downloaded the conference programme, you can do so here. Note that the programme and abstract book are both available in the conference app, which you can install by searching for “saahe” in either the App store on iOS or Play store on Android. If you are viewing this page from your mobile device, clicking on the previous links will take you straight to the entry in the store). 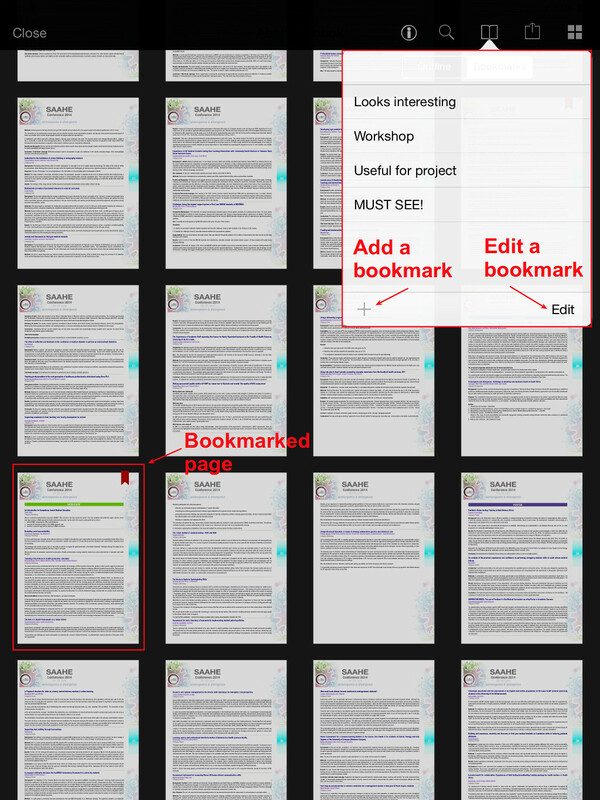 There is a lot of content available in the book, so we encourage you to use the bookmarking feature (see below), which allows you to bookmark abstracts that look interesting, and to which you might want to return. Touching the page number in the Bookmark menu – after pressing Edit – allows you to rename bookmarks so that they are relevant to you. If you are unable to come to this year’s conference, we encourage you to follow events on Twitter, using the #saahe2014 hashtag. 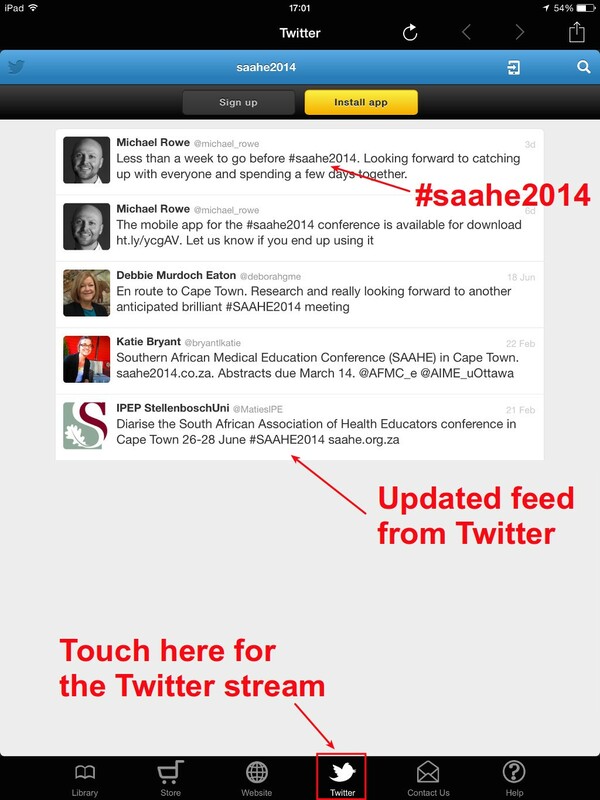 You can also see the live stream of tweets from within the conference app. Finally, we’ve just found out that the hotel is giving us free, uncapped wifi for all delegates during the conference, so we’re also pretty excited about that. And that’s it. If you’re traveling from far away (actually, if you’re traveling from anywhere) we wish you a safe journey and are looking forward to welcoming you in Cape Town for the 7th National SAAHE conference.